3 Pc Can Colander Strainer Drains Food Tuna Veggie Dishwasher Safe Kitchen Too New !This can strainer is a perfect kitchen tool measuring 4 3/4 diameter. Instead of using the can's metal lid to drain, simply place this strainer over the opening and press. Fits most standard size cans, dishwasher safe. Durable, stain resistant plastic. Kitchen Goods, a unit of Dominant Systems Corporation, uses sophisticated crawler software to search the web looking for great product deals online. For this page, related items include products we find that match the following keywords: "Strainer" at our vendor partner Walmart - Click More Info / Buy Now to check for price rollbacks!. 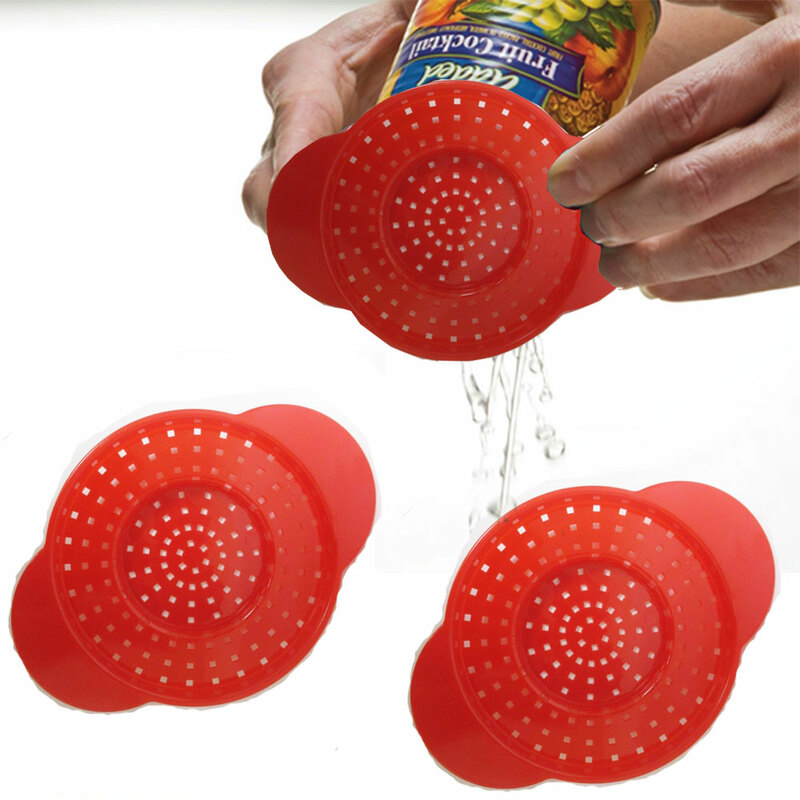 3 Pc Can Colander Strainer Drains Food Tuna Veggie Dishwasher Safe Kitchen Tool is one of 100 Strainers and related products available for sale through Kitchengoods.com, If you have any questions on this product, please give us a call at 734-971-1210 during the hours of 9am - 5pm EST for assistance. Thank you for shopping at Kitchen Goods, your place for kitchen gadgets, and more!